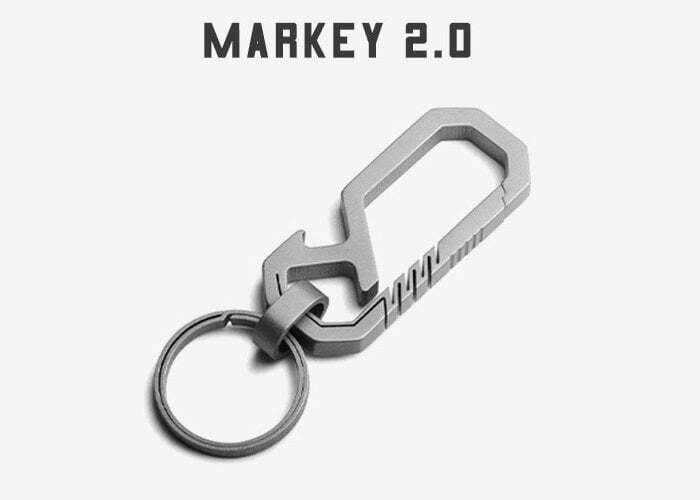 Markey 2.0 is a new key chain multitool constructed from titanium alloy providing an EDC multitool light enough and small enough to be carried almost everywhere you go. Launched via Kickstarter this week the crowdfunding campaign already has over 100 backers with earlybird pledges starting from just $25 offering a considerable discount off the recommended retail price of $48. If manufacturing progresses smoothly worldwide shipping is expected to take place during June 2019. Its creators are also offering a unique laser engraving which can be used to provide a message or unique markings on your multitool. For more details and a complete list of all available pledge options jump over to the official Kickstarter crowdfunding campaign page.